Dubray Tallman here with a brand new “Dubi meets the Fans”. 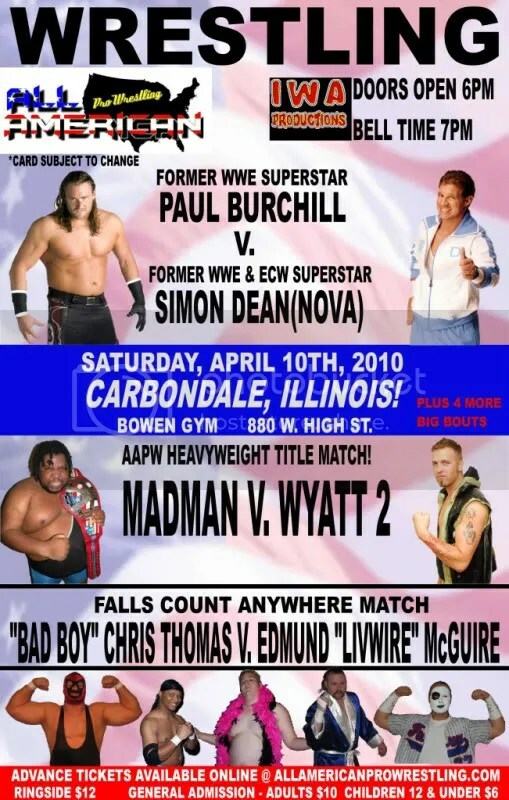 In this edition we are back at All American Pro Wrestling in West Frankfort Illinois. Brian recently came up with the ideal to have a promotions superstar to wear a MWR Shirt to the ring and throw it out to one lucky fan. This helps out as the drawing sometimes can be a bit hectic to get everyone signed up before the intermission of the show. 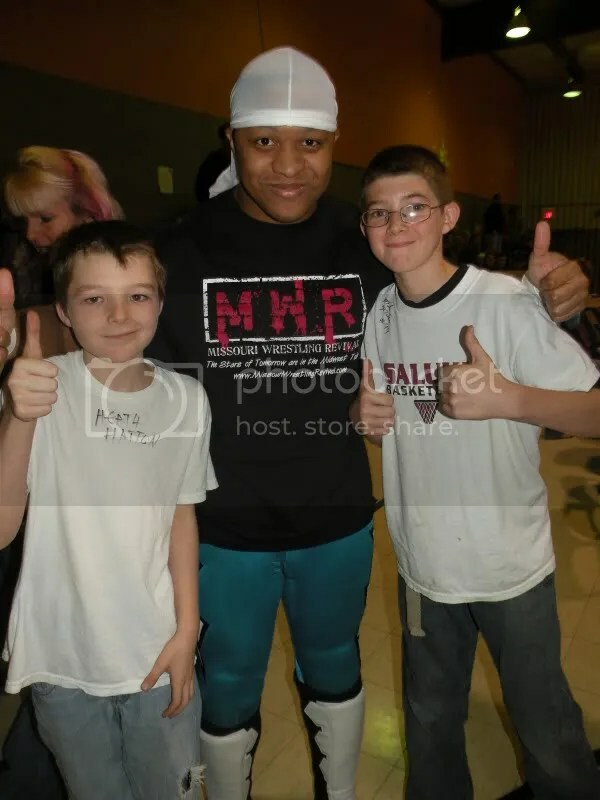 Last week my good friend Santana G became the very first wrestling star to share the love of MWR to the fans. 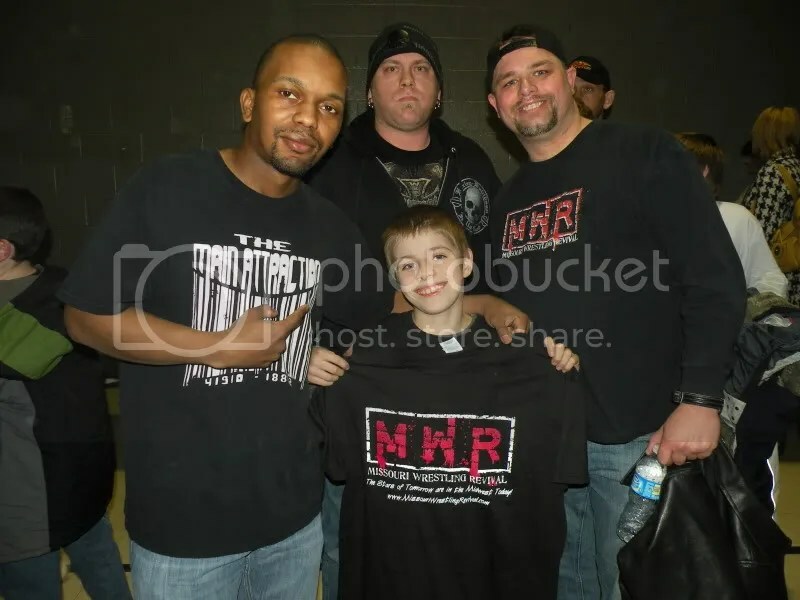 On this night was another good friend, Edmund “Livewire” McGuire who was nice enough to be a part of MWRs give away. I must say that I had a great time before I even got to AAPW as we rode with our good friends Mike Van Hoogstraat and Jonathan Jones. Then we got to AAPW and caught up with old friends and before I knew the bell had ringed. Brian introduced me to Adam Testa from the Wrestling Daily website and one of the games Brian likes to play is “who is going to win” and this time he included Adam and Jonathan as Mike Van was busy taking some awesome pictures. Brian laughed as Jonathan and Adam got one right while I was wrong then I remembered that I need to find some fans before intermission, so I quickly caught up with some great people for the new Dubi meets the AAPW Fans. AAPW is known for providing wrestling action that everyone can enjoy so there is always an abundance of kids in the house. Speaking of house, the fans love the Mississippi Madman and when the Madman asks “Who House is it?” the fans quickly reply the Madman’s house. I caught up with Josh Turner and his mother Patty Brockman, Mt. Vernon, IL who quickly said the AAPW Champion. Up next was young Dakota Wagner and Austin Wagner, West Frankfort, IL who stated that they were fans of Edmund “Livewire” McGuire. McGuire as always was a gentleman and obliged the young AAPW Fans. 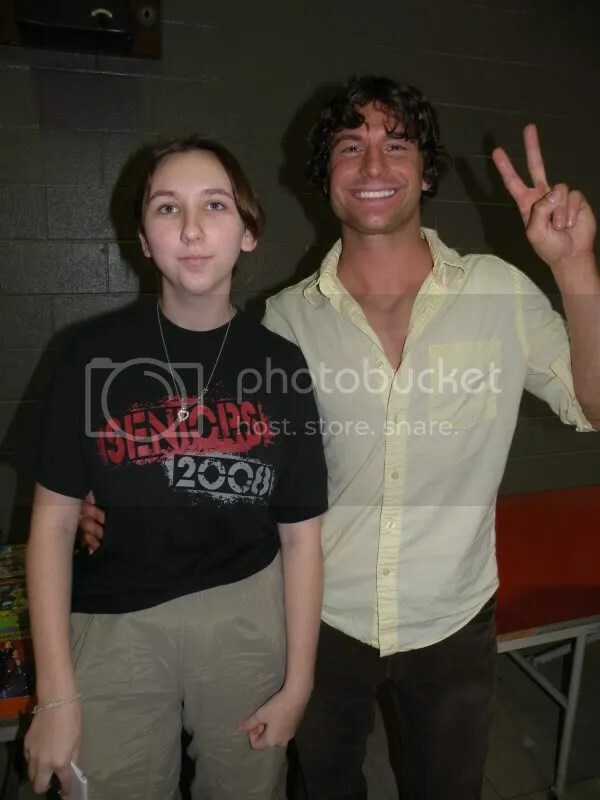 I have to laugh about the next Superstar that the fans requested pictures with, Mike Sydal. Over a year ago we pulled up at a show and we had only seen Sydal a couple of times and he always seemed like a nice guy but Brian says” Great Mike Sydal is here! So I replied “What’s the big deal with Mike Sydal? A year goes by and now wherever we go, from Iowa to Granite City to Kansas all to way to Illinois fans are asking us about Mike Sydal. 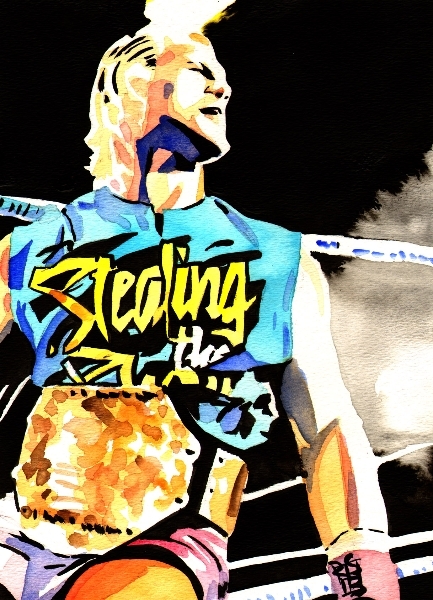 I asked a couple of girls who their favorite was and they sheepishly stated it was Mike Sydal. 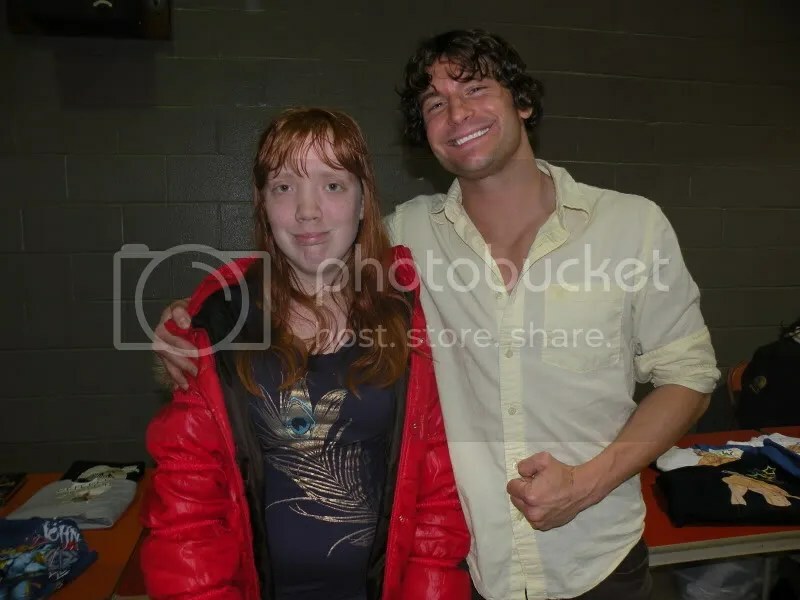 When it was time to take the picture one of them got shy and didn’t want to be in it, but young Brittany Mouser from West Frankfort, IL was more than happy to have her taken with him. 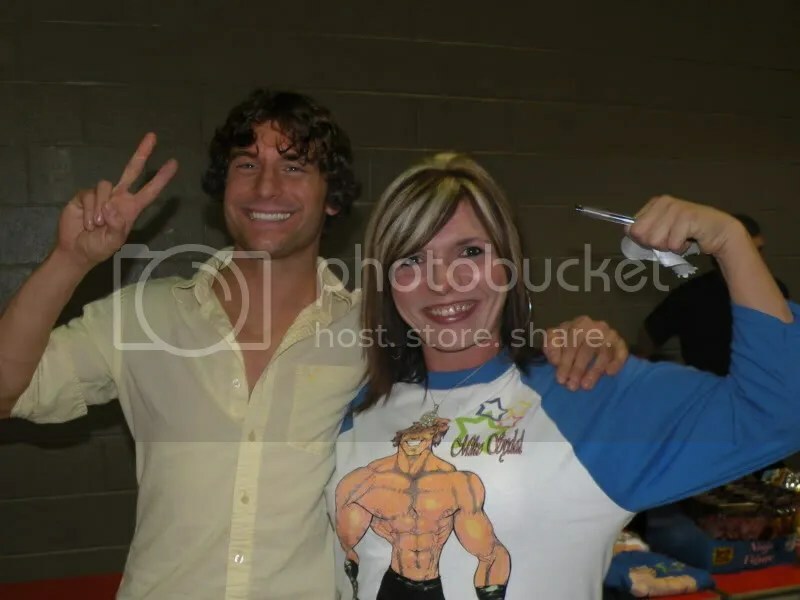 I thought I was done with Dubi meets the fans when Tina Reyling from West Frankfort, IL approached us to have her picture taken with Sydal as well. Not to be left out I asked Mike for a picture of the two of us and as you can see I purchased the hottest wrestling wear in the Midwest, the brand new Mike Sydal t-shirt. .
After the Main event between Madman and Jeremy Wyatt, I caught up with the lucky fan who caught the shirt thrown by McGuire before his match with “Badboy” Chris Thomas. We would like to thank Jack Holmes and his step dad Paul Fisher . AAPW star KC Jackson was nearby and was gracious enough to get in the picture with the AAPW Fans. One half of the Money Makin Jam Boyz KC Jackson on the left, Middle bottom Jack Holmes top middle Paul Fisher and far right Brian Kelley. This entry was posted on March 9, 2010 at 12:01 am	and is filed under Uncategorized. Tagged: AAPW, Adam Testa, All American Pro Wrestling, Edmund "Livewire" McGuire, jeremy wyatt, Jonathan Jones, KC Jackson, Mike Sydal, Mike Van Hoogstraat., Mississippi Madman, Missouri restling Revival, Santana G. You can follow any responses to this entry through the RSS 2.0 feed. You can leave a response, or trackback from your own site.